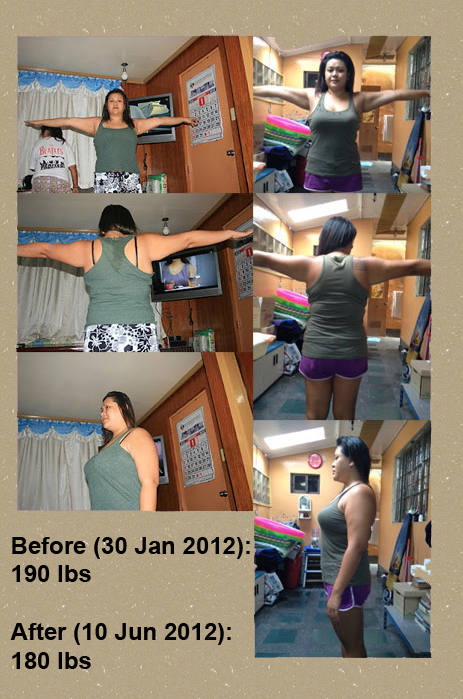 my journey to a healthier me. 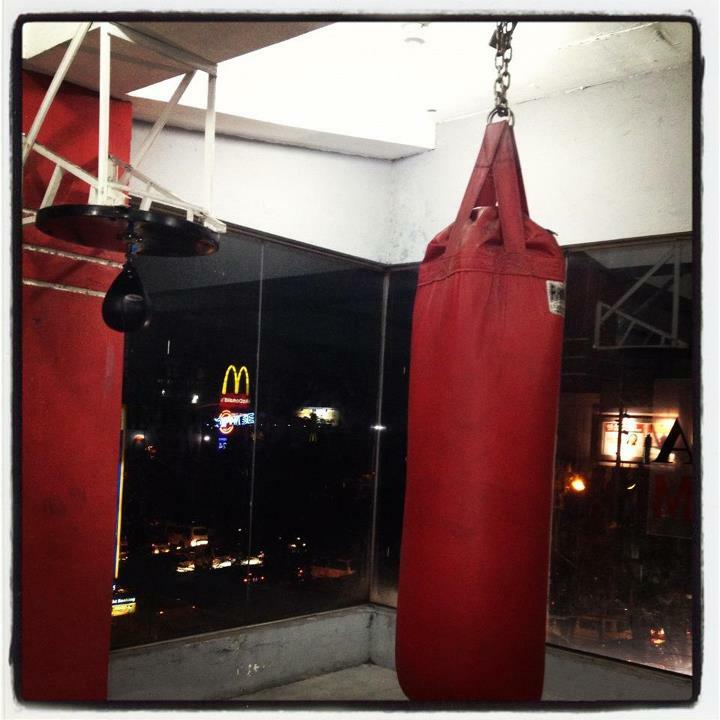 Today's workout was a boxing session at Penalosa gym in Libis. The mitt rounds gave me a good burn, but the speed ball, hanging ball, and punching bag did not do a lot for me. The jump rope warm up was nice, too, as I watched my wrist rotate the rope...I think my singles technique is getting better...here's hoping I get to do a skip soon. Here are the rounds I did after warming up: 3 rounds of jump rope; 3 rounds mitts, 3 rounds punching bag (I imagined this was the guy I 'like'), 3 rounds hanging ball, 3 rounds of speed ball (this always frustrates me to no end because I can't do it with 2 hands...practice! ), and 2 rounds of mitts again. I did not do the ab exercises anymore and proceeded to the stretching. My knuckles have some angry red lines. OMO. No picture of today's workout. I was set on not working out today because we got home late, and I avoid working out after 8PM if I have work the following day as it messes my sleeping time. I am trying to get back on track in terms of waking up at 430AM. But, when I thought of my workout journal and realized I will have nothing to input, I decided to do 100 modified push ups. I did more...when I was standing on the mat, my legs automatically did a squat and I decided to do 4 rounds of 25 body weight squats and 25 push ups. Gave me quite a sweat, to be honest, and enough burn on my muscles. ---Too many sugars for the day. Boo. Today's workout was brought to you by the ripped Craig Ballantyne. He makes body weight circuit training look easy, but holy crap on a cracker is it hard! I have been doing body weight workouts for more than a year now, and it still amazes me how much using just my body can tire me out. 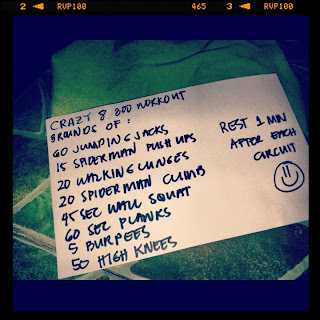 This was physically and mentally challenging for me, particularly the spiderman pushups (that's 20 reps not 15) because I felt my arms could not perform the pushup so I did the spiderman minus the pushup. I know, what a cop out, huh? Anyway, after the 2nd round, I was wiped and was catching my breath and wanted to give up. I had to take a 3-minute break while mentally psyching myself up to finish everything. I thought of the improvements I made and the taunts of some people that I cannot do it. It made me push myself to finish the entire circuit. Took me 35:31 minutes, and I pretty much wanted to sleep on the mat during my cool down. I was that beat. Whew...that was a lot. Back to regular programming tomorrow. I could use a veggie cleanse. Today's workout is care of Craig Ballantyne of Turbulence Training. After completing the circuit, I finished it with a 4-minute tabata composed of 4 exercises (body weight squats, thrusters with 5lb db, low jacks, and side lunges). The pull ups were really challenging, but all in all, good work out. 33 days late to review my progress. Nonetheless, here it is. I lost 10 pounds in 133 days. I still have a long way to go, but the progress is encouraging. I only managed 2 rounds and it took me 31 minute to complete. I was a ball of sweat! 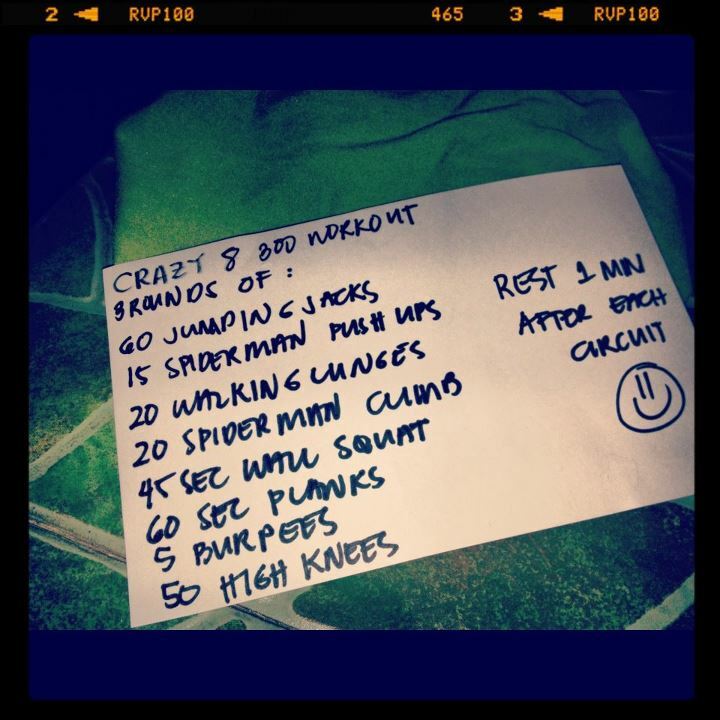 I will do this workout again! Food can be better. I thought I was within 1200 but no. So need to re-evaluate my normal meals...and i cheated today and had 11 chips! I moved my workout today after work (more like 4 hours after) because I had a concall at 530AM. I was very sleepy when I got home so I took a 10-minute nap and forced myself to get out of the bed and workout the Bonchon lunch I had. I received a compliment today that I lost weight already so yes, forging through! I had to rest for 3 minutes after the 3rd exercise because I was just out of breath. Again, a simple looking work out but very deceiving. Try it! MY food intake wasn't that good because I had 1 cup of white rice and double-fried chicken. Bonchon, why soooo good?